Fertilizers provide three primary nutrients: Nitrogen (N), Phosphorus (P) and Potassium (K). Nitrogen supports vegetative growth. Phosphorus improves roots and flowering. Potassium strengthens resistance to environmental assaults, from extreme temperatures to pest attacks. Urea is the most important nitrogenous fertilizer in the market, with the highest Nitrogen content (about 46 percent). It is a white crystalline organic chemical compound. Urea is neutral in pH and can adapt to almost all kinds of soils. It is a waste product formed naturally by metabolizing protein in humans as well as other mammals, amphibians and some fish. 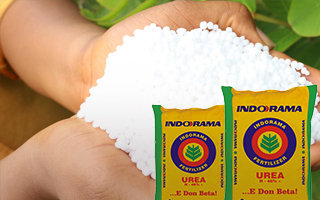 Urea is widely used in the agricultural sector both as a fertilizer and animal feed additive. 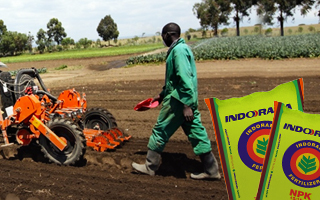 The main function of Urea fertilizer is to provide the plants with nitrogen to promote green leafy growth and make the plants look lush. Urea also aids the photosynthesis process of plants. Since urea fertilizer can provide only nitrogen and not phosphorus or potassium, it’s primarily used for bloom growth. How to Use Urea Fertilizer? Urea should be applied at the time of sowing. It should not come in contact with the seeds. It also can be applied as a top dressing. Since Urea is highly Nitrogen-concentrated, it should be used in combination with earth or sand before its application. Urea should not be applied when the soil contains free water or likely to remain wet for three or four days after application. 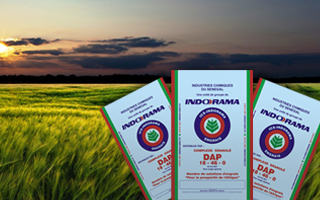 Urea can easily be blended with Mono-ammonium Phosphate (MAP) or Di-ammonium Phosphate (DAP). However, Urea must not be mixed with any superphosphate unless applied immediately after blending as Urea reacts with superphosphate liberating water molecules. This will produce a damp material that is hard to store and apply.